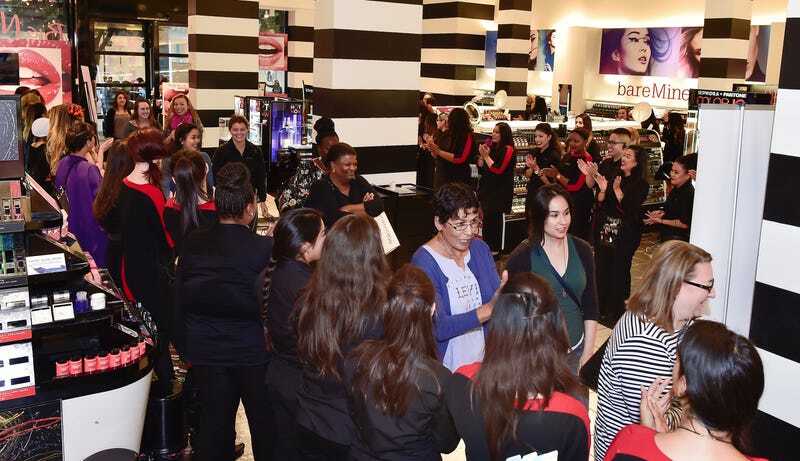 Following Sephora's disastrous 20% off sale a few weeks ago, when loyal customers were were unable to purchase products because of website failures and others said they had been permanently locked out of their accounts because they were of Asian descent, four women have filed a class action lawsuit against the company alleging discrimination. The complaint, filed by Wigdor LLP and Imbesi Christensen in Manhattan Federal Court against Sephora and its parent company LVMH Moët Hennessy Louis Vuitton Inc., involves four women of Chinese descent living in the United States: Xiao Xiao, Jiali Chen, Man Xu and Tiantian Zou. It alleges that the company purposefully blocked only the email addresses of customers of Asian–specifically Chinese–descent, due to the belief that those customers were planning to resell products purchased during the sale. According to the complaint, more than 95% of the blocked and deactivated accounts belonged to people in the U.S. who were not bulk buying or reselling. It specifies that the blocked accounts had nothing to do with the overloaded website issues Sephora was experiencing. To date, no explanation has been provided by Sephora as to why customers of or perceived to be of Chinese/Asian descent were singled out while seemingly non-Chinese/Asian customers were permitted account accessibility once the website was restored. This does not look great for Sephora. After calling Sephora's customer service line, one of the plaintiffs was apparently told that "all customers with qq.com email addresses were blocked." This lawsuit significantly distorts the facts in this matter. We look forward to defending our actions in court. Among other points, we intend to make very clear that clients from a number of countries around the world have been impacted by a temporary block we needed to place on accounts in order to restore the functionality of our site during a surge of activity by resellers during a promotional event two weeks ago.